Peg Silloway was starting a new phase of her life. She’d fallen in love with weaving and was ready to pursue it as a business. Her amazingly soft jewel tone scarves spoke for themselves, but she needed a logo and website to get started. Her logo incorporates elements of Celtic design and the colors found in her weaving. 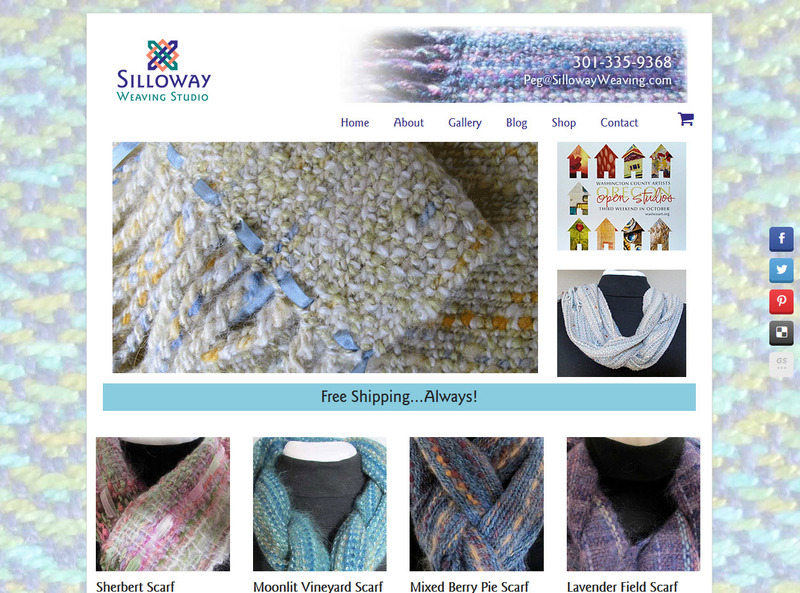 Then the challenge became how to showcase her lovely weavings best in an ecommerce format. Peg has been updating this site on her own, and adding new products regularly. which makes me very happy. When contractor Karla Green and designer Phyllis Eastman decided to team up, they knew they’d need a bold statement that blended their complementary skill sets and perspectives. They were creating a business aimed at Boomer generation all about creating fun, livable spaces that were accommodating to elders using sustainable construction techniques. We used a bright midcentury palette for their logo, and worked through many variations before landing on an iconic color system that could be carried on through their marketing materials. 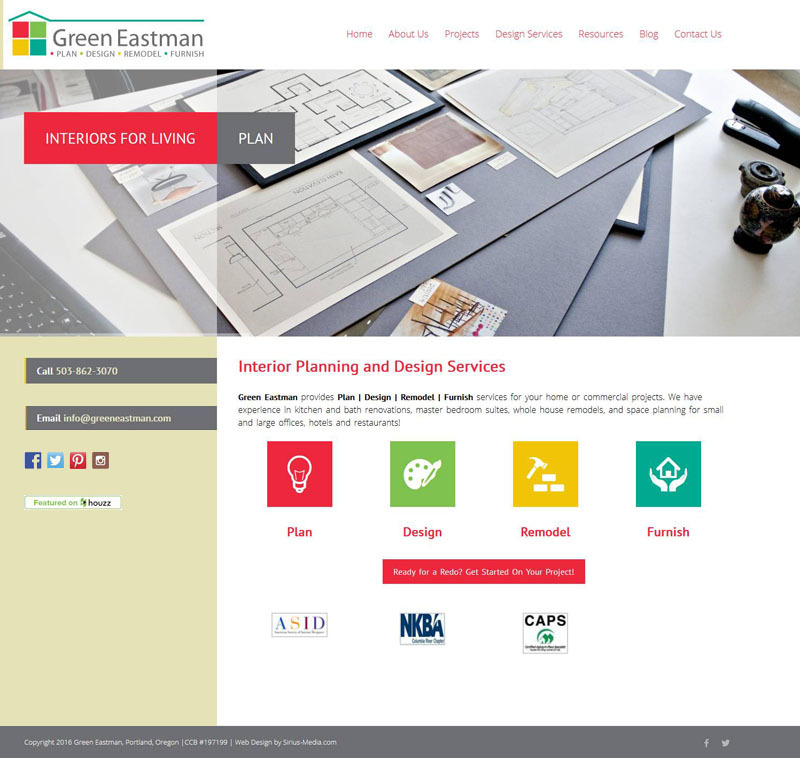 This site is designed to appeal to both the elders planning their living spaces and adult children helping parents move.